Petroleum Wholesalers need an accounting package that can handle the unique needs of the petroleum industry, such as integration with Cardlock, fueling networks, fuel tax schedules, management reports, and daily workflows. 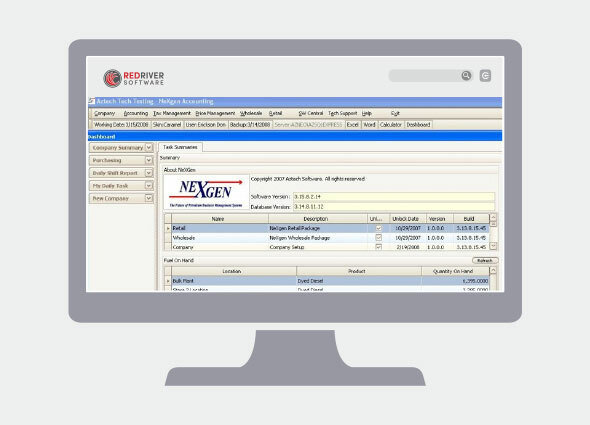 Red River Software’s software packages are scalable and are an excellent choice for small businesses and enterprise level corporations alike. Eliminate redundant data entry, gain insight into your business and improve your business processes. Save time with automation and monitor your key performance indicators with dashboards for inventory levels, open orders, past due accounts and more.